The Zego 300 from New Zealand is a unique recreational and fishing boat. 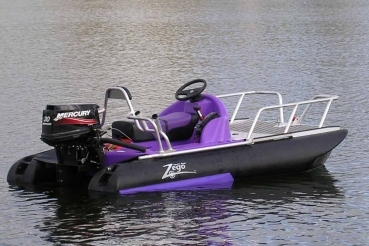 Perfect for inland waters, waterways, lakes, ports or at sea. The design offers incredible stability and seaworthiness. Most comfortable ride in its class. 3-year structural guarantee for Personal Use. 1-year structural guarantee for Commercial Use.